Seller will give you a gift certificate in the amount of 4,99 RUB for a positive review of the product purchased. 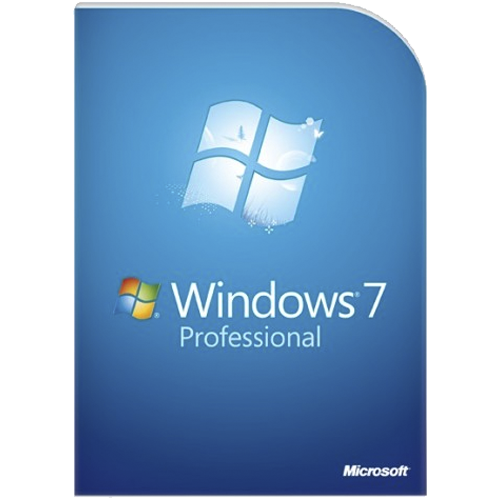 Microsoft Windows 7 Professional is an operating system oriented to work in corporate networks. Supports up to 192 GB of RAM. It is characterized by backward compatibility with Windows Vista and allows you to quickly start working with the equipment, automatically synchronizing with the drivers. - This version supports XP Mode - emulator of Windows XP applications. - Provides for encryption of information, including for all accounts. - Perhaps the simultaneous connection of multiple monitors. - In the presence of the function Peek (display a smaller copy of the windows), Shake (minimize windows of inactive applications) and Snap (zoom windows in three versions). - Simultaneous work of a number of physical cycles. - Ability to connect to the NT-domain. This product is delivered in the form of an activation key, without any disks, boxes, stickers, etc., by digital distribution. By purchasing this product you confirm that you have read and agree to the terms of the license activation. Seller will give you a gift certificate in the amount of 4,99 RUB for a positive review of the product purchased..